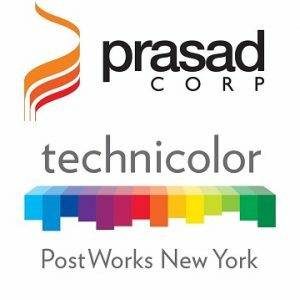 BURBANK, Calif.—Prasad today announces a strategic partnership with Technicolor PostWorks New York to provide a flagship Scanity HDR 4K film scanner to support 4K “scan once” workflow for film, SAN and LTO archiving, full-service film scanning and digital restoration services in 8mm, Super8, 16mm, 35mm, 65mm, 2K, and 4K for archival preservation purposes, and film scanning and digital restoration services for classic independent films readying for re-release. Technicolor PostWorks New York offers one complete solution for every post requirement, including data workflows, film imaging and restoration, non-linear editorial and UHD picture finishing, 4K digital intermediate, high-volume media encoding with global data connectivity, as well as comprehensive film and TV sound services on nine mix stages. “Prasad is thrilled to establish a foothold in the East Coast to conveniently service the film and motion-image archive communities,” comments Tracy Balsz, Vice President at Prasad Corp.
“High-speed Scanity 4k scanning is a tremendous benefit to our clients shooting new film whose workflows demand single-touch dailies, as well as for archival projects seeking high resolution, stability and gentle film handling,” says Rob DeMartin COO/President of Technicolor PostWorks. “Having the opportunity to offer our New York clients Prasad’s vast restoration capabilities — without having their archival film leaving the zip code — is also a tremendous opportunity.